Difference between revisions of "Kagu Shi"
Kagu Shi was a former Imperial research scientist that later turned his skills to trading in illicit chemicals on the city-moon Chyron in the Caelus System. Little is currently known about Shi's early life. Public records indicate he was born in 26 BBY on Corulag and had both his undergraduate and graduate work in chemistry paid for by the Imperial Army tuition payment program. De-classified Imperial records released by the New Republic show that Shi was given a commission immediately upon attaining his doctorate in 0 ABY an immediate assigned to an Imperial facility researching Clouzon-36 gas in the Caelus system. No other records on Shi's early life and career have yet been located. As the forces of Clan Taldryan begin entering the Caelus system the newly created Sphere of Research and Intelligence within House Ektrosis identified Shi as a top candidate to act as the organizations first Supreme Director. Field agents immediately began searching for the whereabouts of the former Imperial researching only to discover that he had turned to a life of crime. The scientist turned drug kingpin brazenly used his name and credentials as if it were a marketing tool as he operated out of Dark Sector of Chyron. These same agents however discovered that nobody was willing to give up a physical description of Kagu Shi. SRI operatives reported that Shi's organization, despite its seemingly small size, not only had the infrastructure to distribute and protect its products but also seemed to be developing new versions of common street drugs on a regular basis. Ektrosis Quaestor Justinios Drake believed he had found his Supreme Director but needed to somehow coax him away from his likely very lucrative criminal operation. As Taldryan began their campaign to make a home within the Caelus system, an opportunity to recruit Kagu Shi presented itself. Against his better judgment, Justinios Drake authorized Kookimarissia Mimosa-Inahj's request to be assigned the mission to recruit Kagu Shi. Although she was pregnant at the time of the mission, Drake was impressed with her plan to quietly infiltrate Shi's organization and recruit him peacefully into the role of Supreme Director. The plan, as it was presented to the Quaestor, was to pose as a candidate for Shi's personal assistant. Kooki successfully transmit her desire to be considered for the position to Kagu Shi and met the elusive former Imperial on the surface of Chyron. After showing her dedication to the position by assaulting an addicted customer of Shi's while he approached the duo on the street Kooki was offered and accepted the position. The situation deteriorated fast. During the mission, Kooki was being forced to inject an unknown substance into her body as proof of her loyalty. After Shi realized that Kooki had found a dead body under his desk, he attacked the Sith who violently defended herself and the unborn child she was carrying. Kooki not only defended herself and escaped the facility she also killed Kagu Shi in the process, long before any real attempt could be made to recruit him into the SRI. Kagu Shi came from humble beginnings, and developed into an enthusiastic researcher for the Empire. Over the years however, setbacks in his research and - what he considered to be - exile to the Unknown Regions embittered the man. After the fall of the Empire, Kagu Shi developed into a shrewd businessman with a high inward focus, no doubt as a form of survival. He soon expanded into a life of crime and became a self-styled crime lord who only cared for himself and his business. Kagu Shi was the archetypical mad scientist. 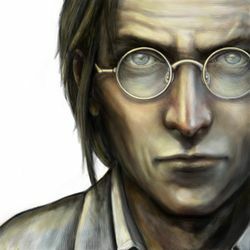 To him, everything in life was nothing but experiments, not caring for the well-being of others when he put his hypotheses and theories to the test. He was arrogant, condescending, and later in life developed a streak of severe paranoia. The latter coming in no small part due to partaking in his own products. Kagu Shi is an NPC designed for a Taldryan-specific storyline relating to the "SRI". Kagu Shi was designed by Justinios Drake and Kookimarissia Mimosa-Inahj. This page was last modified on 20 January 2019, at 00:24.